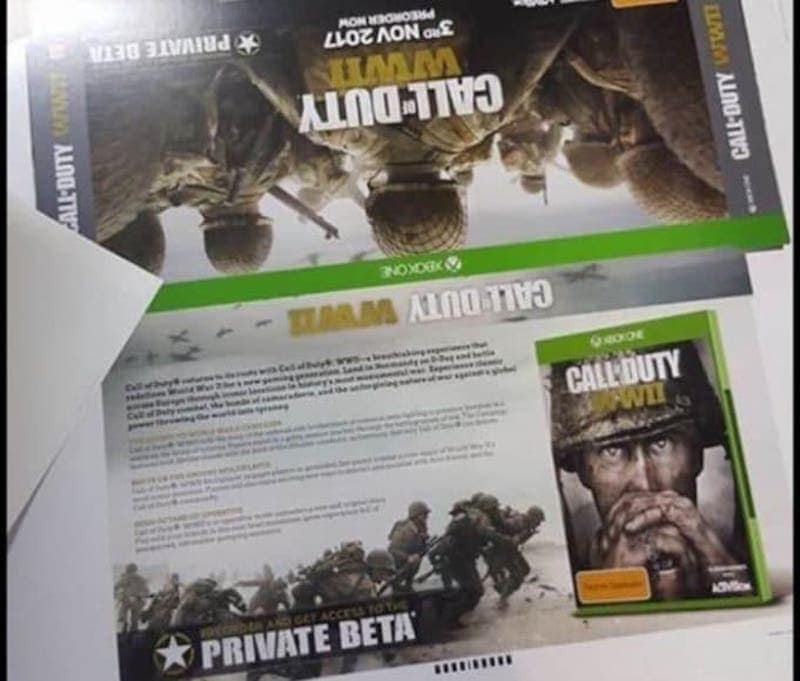 The Call of Duty: World War 2 release date has been leaked via marketing material for the game spotted in Australia. Call of Duty: World War 2 will be out on November 3, 2017. What’s more is that there will be a private beta for the game for those who pre-order. These were uncovered by Call of Duty fan site Charlie Intel. Furthermore, some details on what to expect in terms of single-player and multiplayer modes have also been made public. The game will feature events such as landing in Normandy on D-Day and will take place across Europe and there will be a co-operative mode that “unleashes a new and original story”. While the game should retail for $60 internationally, it would be safe to say that the standard edition of Call of Duty: World War 2 would cost Rs.4,499 on the PS4 and Xbox One in India with the PC version costing Rs. 3,499, much like Call of Duty: Infinite Warfare did. Keep in mind that distributor Worldwide CD ROM is yet to confirm this. With Call of Duty: World War 2’s release date already made public, there’s still enough of a reason on to tune into the official reveal on April 26 at 10am PT (10:30pm IST). Hopefully Activision shows off what to expect in terms of gameplay and visuals, as well as highlighting Call of Duty: World War 2 special editions and other pre-order bonuses. The use of a private beta to drive pre-orders is not too dissimilar to another Activision-published game due this year, Destiny 2. And much like Destiny, Call of Duty: World War 2 will have a marketing tie-up with the PS4. Box art for the game discovered on Amazon UK confirms that the PS4 will have timed exclusivity in terms of downloadable content, revealing “Play DLC Map Packs 30 Days Early” on PS4. Are you looking forward to Call of Duty: World War 2? Let us know in the comments. We discussed the next Call of Duty game on Transition – Gadget 360’s gaming and pop culture podcast. You can subscribe to Transition via iTunes or RSS or just listen to this episode by hitting the play button below. Next › Who'll be first to Mars? Could dealers benefit from an ethics code?